The Rock Masonry Company, Inc. Comment: Garage floor is cracked and needs to be replaced. Current floor of garage would have to be removed. Concrete should be 6" thick I think. Garage is approx 21 x 21. Concrete should be reinforced with wire/rebar. 1505 B. General Arts Rd. 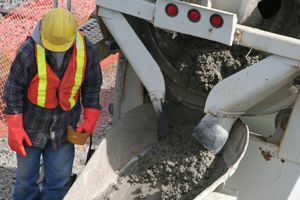 Jefferson Concrete Contractors are rated 4.75 out of 5 based on 208 reviews of 16 pros. Not Looking for Concrete Contractors in Jefferson, GA?